"Remember," he continues, "this was during the downturn. Most other real estate agents were struggling. Angela and I credit our advertising on Tampa Bay radio with 100% of our growth during that time." When the Duncan's first opened their agency in 2007, they both had experience working for large corporations but had no real estate experience. "We began with zero operating capital," says Mr. Duncan. "So, our first sales were to families, friends, and deals other realtors would not touch." After two years in business, the Duncan Duo had sold 100 homes at an average cost of $92,500. "We knew if we wanted to grow further, then we would have to invest in advertising," says Mr. Duncan. So, the Duncan's did their research. They contacted successful real estate agents in other cities for ideas. They also took a hard look at how their local competitors were advertising. "We now advertise on six radio stations with a budget at a multiple many, many, many times higher than our original budget. As a result, this year we will sell 1000 homes resulting in $250,000,000 in volume. 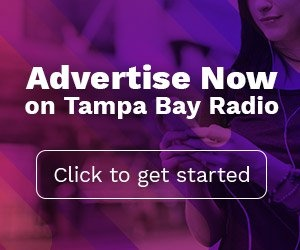 We know that every $1.00 we invest in advertising on Tampa Bay radio will return $5.00 in sales. This is a tremendous ROI when we are competing with 10,000 other local real estate agents." The Duncan's attribute the success of their advertising on Tampa radio to the medium's ability to reach their target demographic. Research from Nielsen supports this. 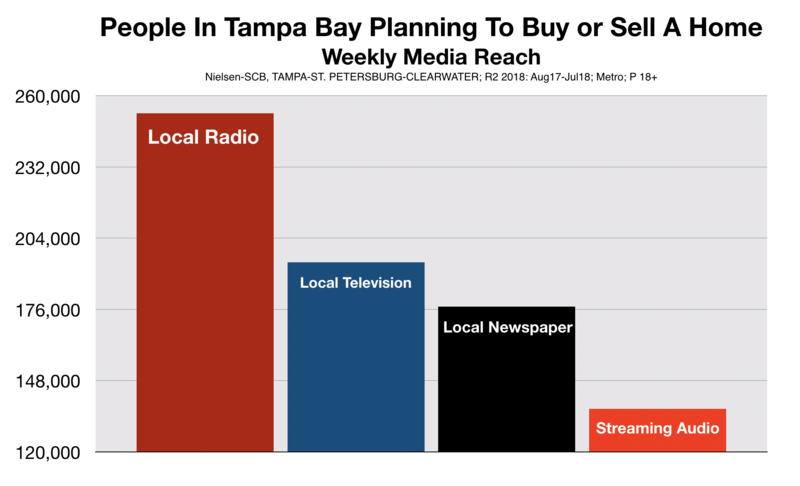 According to Nielsen, advertising on Tampa Bay radio reaches more local consumers who plan to buy or sell a home over the next 12 months, than advertising on local TV, in local newspapers, or on streaming media platforms like Pandora and Spotify. "Invest for the long term," says Mr. Duncan. "It could take up to six months to see results. Be patient. Don't hit-it-and-quit it by bailing after two months." "First time advertisers," he continues, "should plan to use 60-second commercials at the beginning to tell their stories. You need the time to differentiate yourself from your competitors. Once you become established, you can increase your frequency by mixing in 30 or 15-second commercials." "Radio," he advises, "is great for a long term branding play. But, if you are looking for more immediate returns, be sure to use a compelling and unique call to action. For, instance, the Duncan Duo's commercials guarantee that if we can't sell somebody's home in 29 days, we will buy it ourselves. This is something most competitors can't offer."